Drinking soda is very popular among adults and children. However, soda drinks are far from being as harmless to health as it is commonly thought. If you drink soda rarely, problems, most likely, will not arise. However, regular consumption of soda beverages can lead to a deterioration of health and appearance. Your teeth might change color and hurt if you consume soda regularly. Many people do not know that even regular soda water is harmful to teeth, as it has a lower pH level than pure water. If you often drink soda, the tooth enamel breaks. 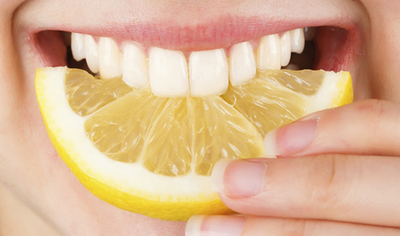 Enamel protects teeth from external factors. This, in turn, contributes to the development of tooth sensitivity. Teeth lose their strength, become breakable. Teeth begin to react to cold and hot. The destruction of an enamel leads to the development of a cavity. Even if you brush your teeth twice a day and rinse your mouth after a glass of soda, it will only reduce, but not eliminate, the harmful effects of this product. It will not provide adequate protection. Diet sodas are not safe either. They do not contain sugar in them. 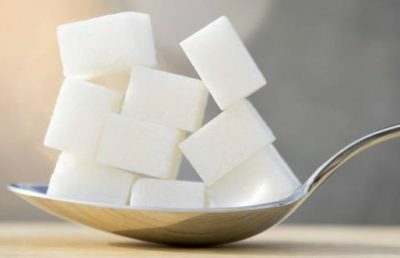 If instead of sugar, manufacturers add sugar substitutes, soda does not become more useful for you. The most unpleasant that soda does not fulfill its most important function. It does not suppress thirst. Drinking soda does not eliminate the so-called “residual sweetness.” This means that the more you drink such water, the more you want to drink of it. 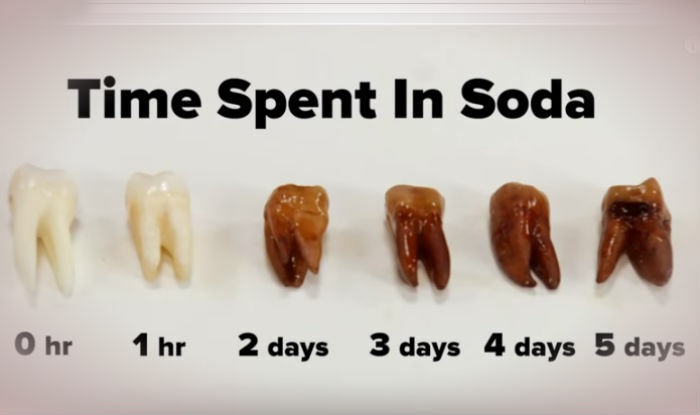 When you drink a soda, your teeth are washed in sugar and acid. The fact that sweet is bad for teeth is known to everyone. However, the effect of acid on tooth enamel is sometimes forgotten even by adults. Soda contains sugar and acid that adversely affect the oral cavity. Both components destroy the enamel and lead to the development of cavities. Carbon dioxide in soda drinks is harmless only in small quantities. Enamel inevitably suffers from a high concentration of carbon dioxide, and teeth will become sensitive to cold and hot. Tooth enamel consists mainly of hydroxyapatite, a substance that begins to break down under the action of carbonic acids. In fact, the enamel is simply dissolved. Remember: milk teeth are more susceptible to harmful effects than adult teeth. Thus soda is more harmful to children than it is to adults. Everyone has bacteria in their mouths. Bacteria feed on sugar, forming acids that can damage teeth. The sugar content of many carbonated drinks is as much as 10 teaspoons per 300 grams of drink. Such a large amount of sugar is consumed by regular soda drinkers. It does not only contribute to the obesity epidemic in the country but also poses a huge risk of a damage to the teeth. Most sodas contain citric acid and phosphoric acid, which are both highly destroying to your teeth. Calcium in the saliva works to remineralize the teeth after exposure to a small amount of corrosive acid. With an increase in the consumption of soda drinks, salvia becomes not enough for stopping the harm from soda acids. Even diet sodas contain harmful acids. People who often consume a lot of soda drinks expose tooth enamel to acid damage for several hours. The Burbank Dentist recommends drinking soda through a straw to reduce the effects of acid tooth enamel, as their contact decreases. It is best to reduce or eliminate their consumption in favor of water. The body needs calcium for many processes, including building strong bones and teeth. Soda often suppresses calcium-rich beverages in the diet. In women, most of the bone mass is formed before the age of 18 years. So replacing calcium-rich drinks with soda in adolescence increases the risk of osteoporosis in later life. Pregnant women who choose soda instead of calcium-rich drinks not only harm their health but also the health of their unborn children. Cavities then can be one of the many negative effects of poor nutrition. Dental restorations, when exposed to dye carbonated drinks, change in color. Exposure to the soda drinks leads to a deterioration of the aesthetic performance of the restoration. Scientists managed to confirm their assumptions that there is indeed a relationship between tooth erosion and consumption of soft drinks with a high content of citric acid. 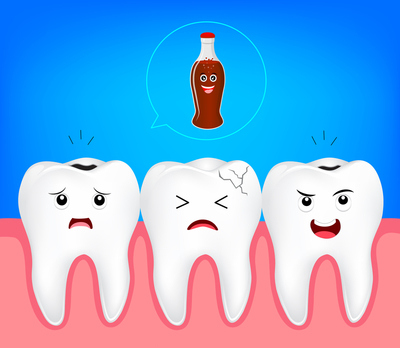 They believe that the abuse of acid soda drinks is one of the main causes of tooth decay. As dentists say, the erosion of tooth enamel is much worse than a pair of rotten teeth. When acid gets into the oral cavity, it acts on all teeth at once. Frequent exposure of the acid to tooth enamel leads to the formation of cracks in the teeth, discoloration of the enamel and hypersensitivity. If it goes too far, the entire tooth is damaged, and a person may need crowns or even dentures. Dentists in many countries have come out with cruel criticism of the manufacturers of such beverages. They require to minimize the level of sugar, gas and introduce minerals that contribute to the protection and strengthening of enamel. According to the Burbank dentist, when drinking soda the tooth enamel gets destroyed and over time the teeth become painful, yellow and weak. Try to drink soda through a straw. So it will not contact with the teeth and therefore cause the minimal damage. Never drink soda on an empty stomach. Use soda only with food. Don’t brush your teeth right after drinking a soda. Otherwise, you will cause them even more harm. Toothbrush in such cases only helps the acid to destroy the tooth enamel and more penetrate it. After drinking soda, rinse your mouth with water to wash off the rest of the drink. Use fluoride toothpaste and mouth rinses. Fluorides reduce the intensity of the development of the carious process and strengthen tooth enamel. The Burbank dentist believes that soda drinks can completely destroy tooth enamel and permanently spoil your snow-white smile. 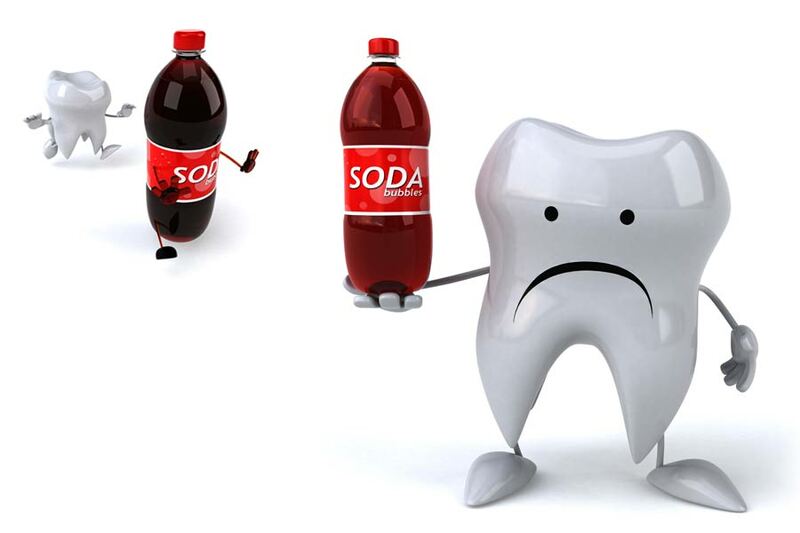 Soda contributes to the weakening of tooth enamel, due to the extraction of calcium from enamel. This process leads to the development of cavities. Also, sugar, which is contained in soda drinks, contributes to the formation of dental plaque. These diseases, if not treated, can lead to the development of oral pathologies such as periodontitis. 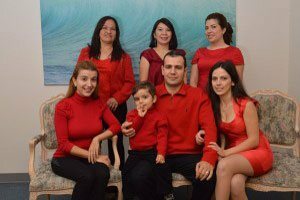 If you are concerned about the health of your teeth and what could be causing any decay, make an appointment with the best dentist in Burbank, Dr. Sahakyan at My Dentist Burbank. He will give you information on what you can do to prevent any decay of your teeth. Call 1-818-578-2332 for an appointment today.